Glenn Barkley has been a curator at Sydney’s Museum of Contemporary Art since 2008. Prior to that he was curator of the University of Wollongong Art Collection from 1996 to 2007. McLean Edwards met Barkley through an informal drawing club run by the painter and sculptor Noel McKenna. Edwards asked if he could paint Barkley’s portrait because he thought that he had ‘such an interesting face’ and was attracted to his personality. ‘His penchant for wearing badges is a bit of a throwback and I badly wanted to have a go at that Jon Campbell badge he is wearing,’ says Edwards. Rather than signing his name on his paintings, Edwards uses his age – hence the 41 in the corner. 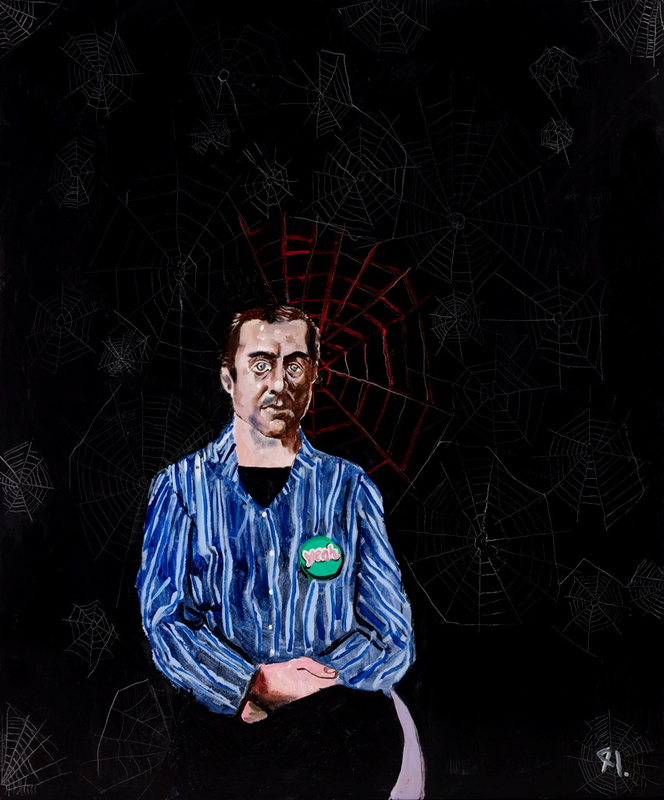 Known for his bold use of colour and his theatrical, darkly humorous take on figurative painting, this is Edwards’s fifth time in the Archibald Prize. This year he is also the subject of another Archibald portrait painted by Jason Benjamin.